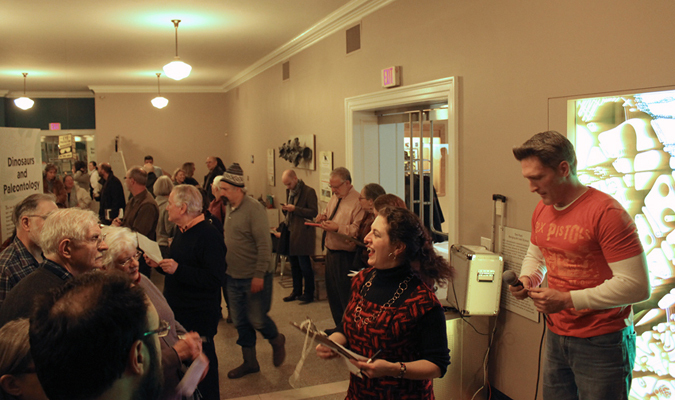 The highly anticipated inaugural collaboration event organized by members of the Berkshire Art Association and the Storefront Artist Project was a rousing mid-winter success. 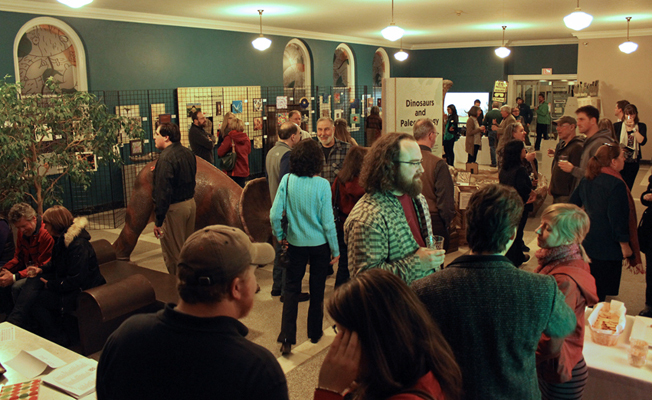 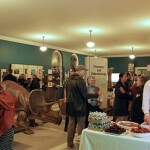 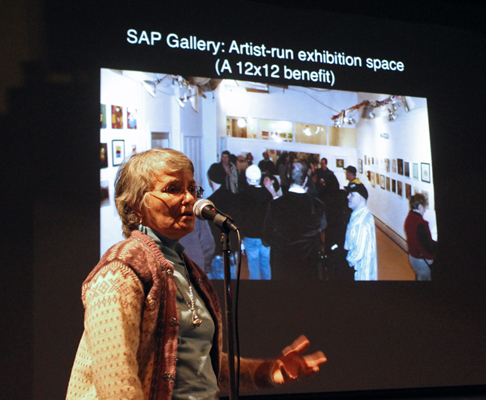 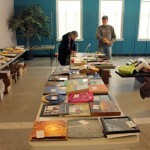 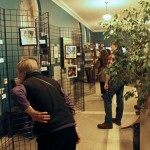 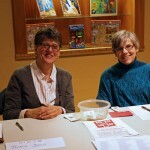 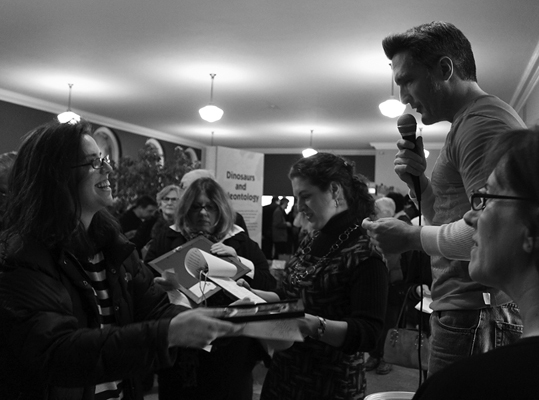 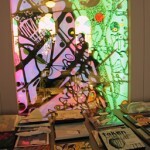 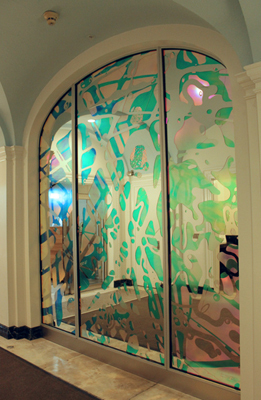 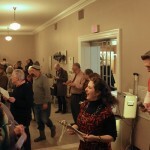 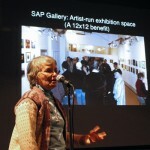 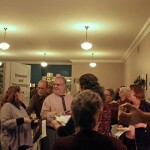 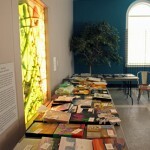 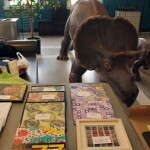 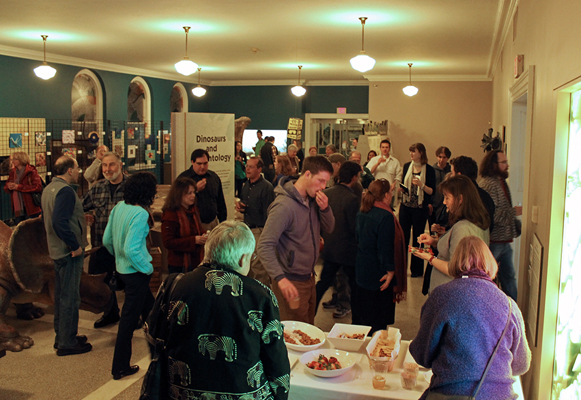 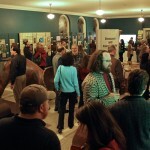 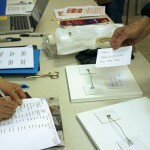 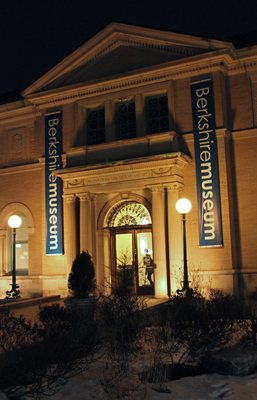 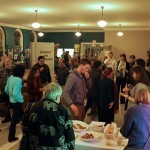 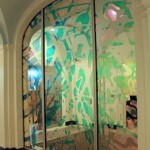 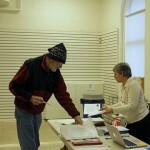 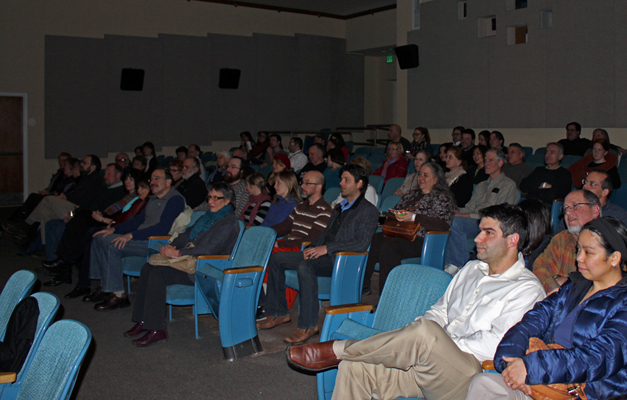 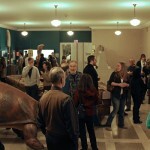 The “10×10 RAP”, “real art party”, was held on February 20th at the Berkshire Museum, 39 South Street. 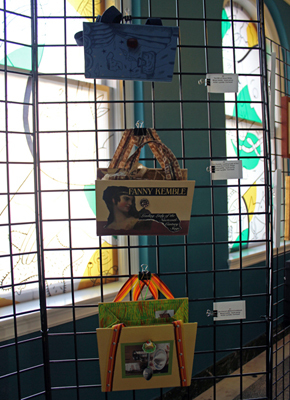 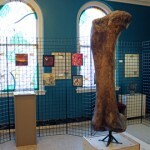 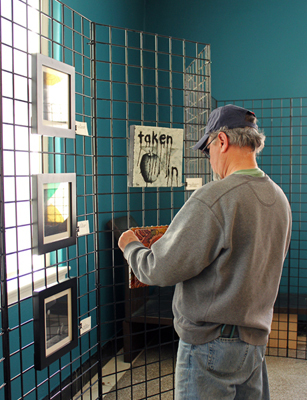 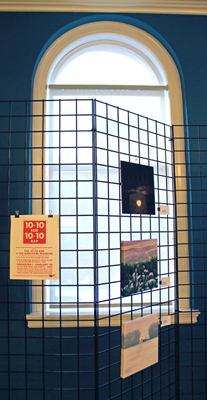 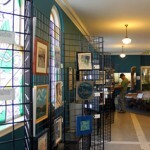 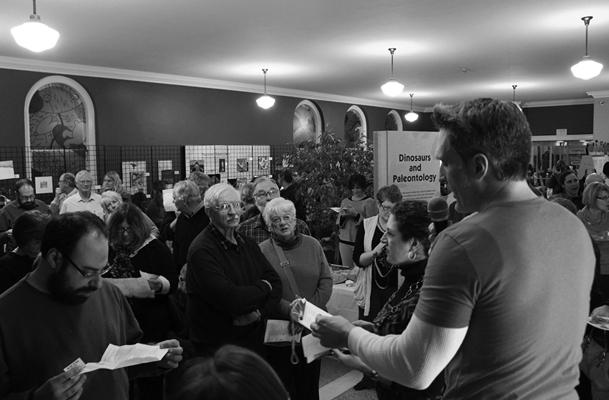 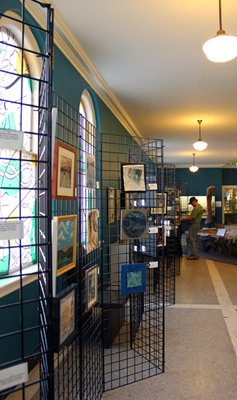 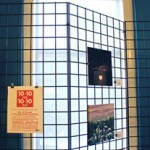 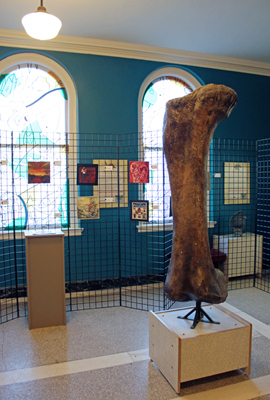 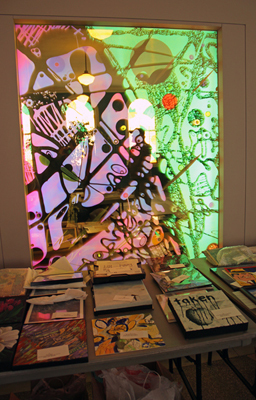 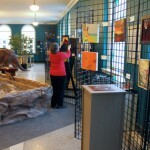 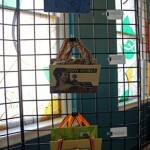 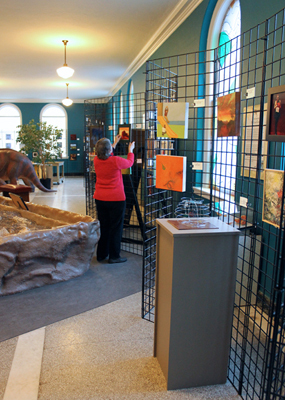 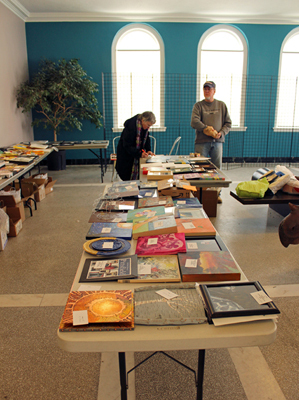 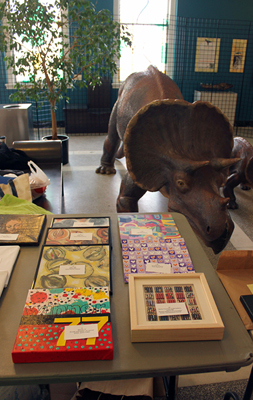 The art show was a featured inclusion to the second edition of the “10×10 Upstreet Winter Arts Festival”, which began on February 14th. 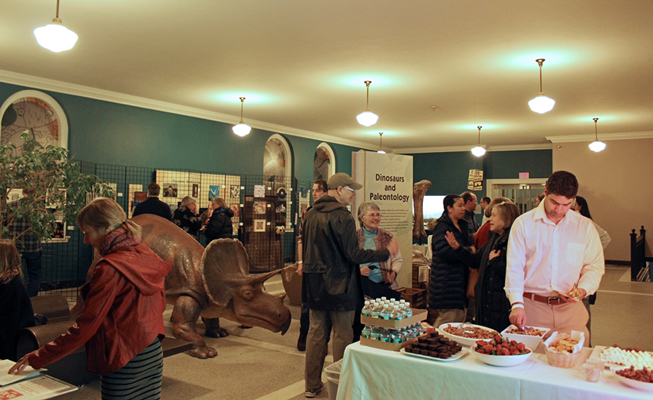 Up until the main event, museum goers were treated to an inspiring look at the wonderful contributions to this special exhibit. 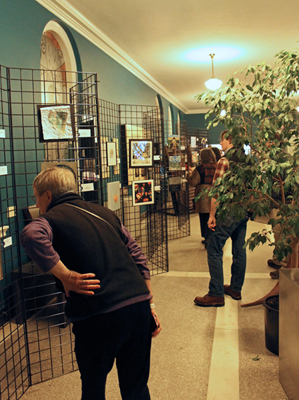 The show, which featured artwork of dimensions that were all no greater than 10” in any direction, was a benefit for Berkshire County’s younger art students. 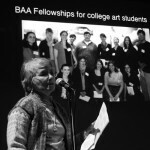 Specific programs included the Berkshire Art Association Fellowship awards for college art students, grants to Berkshire high school art departments to be used for art field trips, and free admission for art students to the Berkshire Museum. 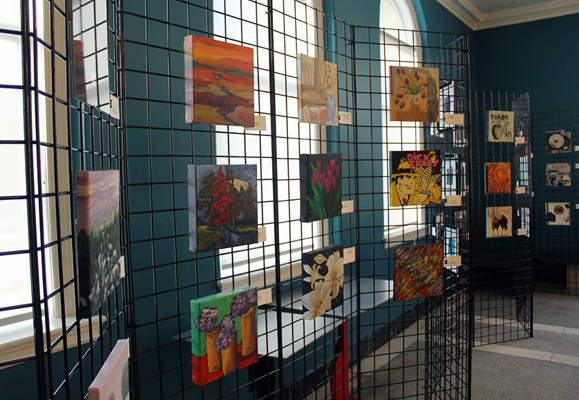 Beginning on February 10th, 109 pieces of art in a wide variety of mediums, including oil, watercolor, pastel, drawing, print, textile, photography, and ceramic art, were brought to the museum by over 70 different donating regional artists. 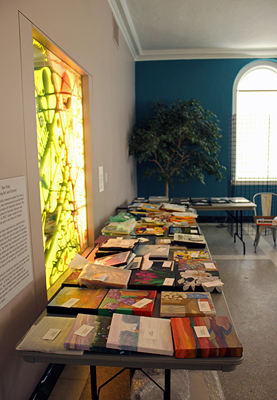 This outpouring of generosity by the creative community was in response for a wonderful cause and the result of a widespread call put out through all means available, ensuring a broad cross section of work for attendees to peruse and enjoy. 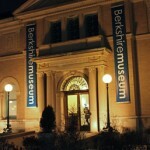 Once the number of pieces donated was known, tickets were sold at the museum and at the Lichtenstein Center for the Arts for $25 each and corresponded to the exact number donated so that during a random drawing held on the night of the main event, every ticket holder was guaranteed a piece of art. 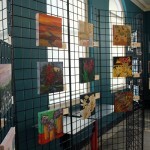 As word spread of the amazing array of work available, the tickets, known as ARTIX, became a hot and much sought after item. 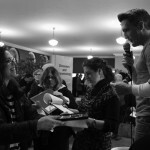 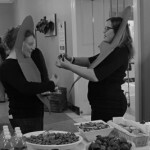 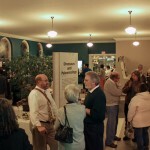 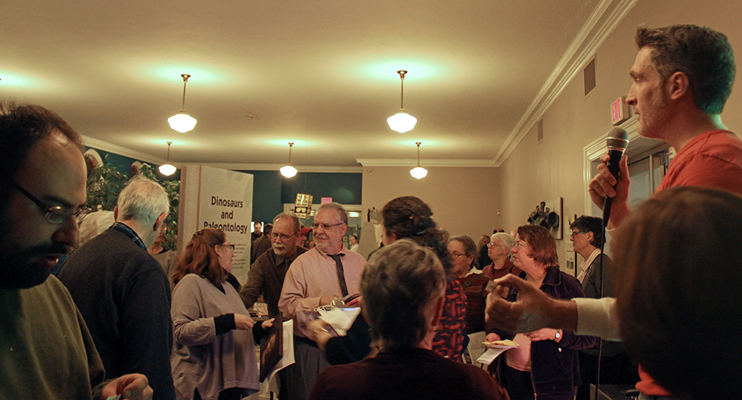 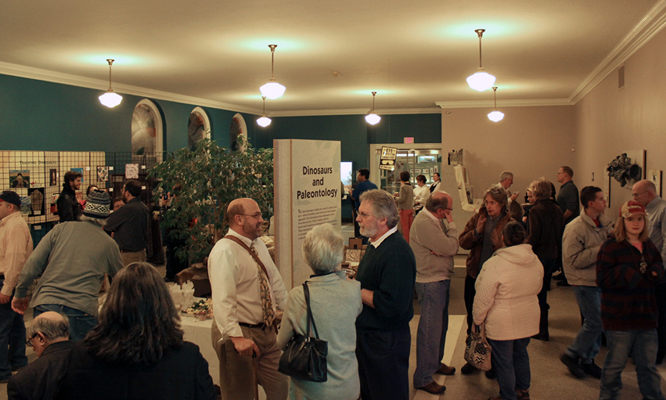 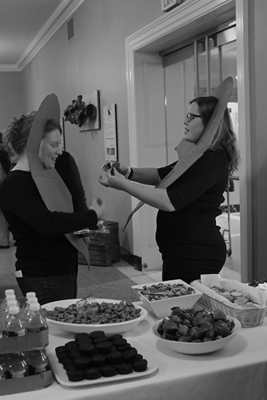 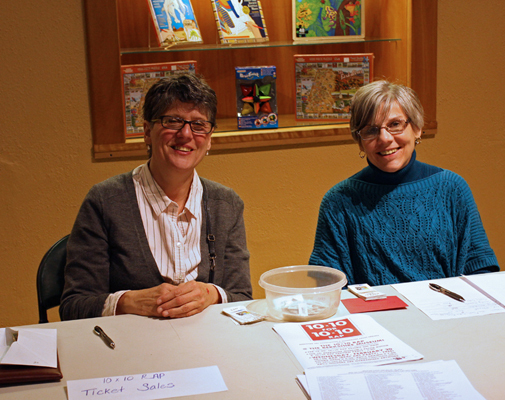 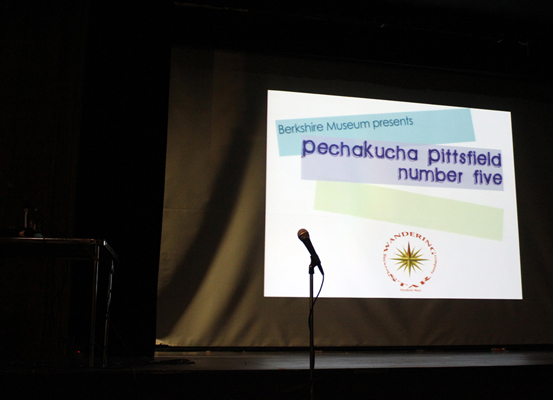 A special preview reception was held on February 19th during the 5th edition of the museum’s popular Pecha Kucha program. 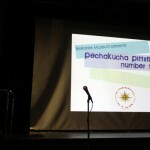 For this event, a series of presenters put together PowerPoint presentations of 20 slides with a set time of 20 seconds per slide. 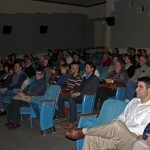 Each presenter, in turn, spoke on subjects that they have a passion for. 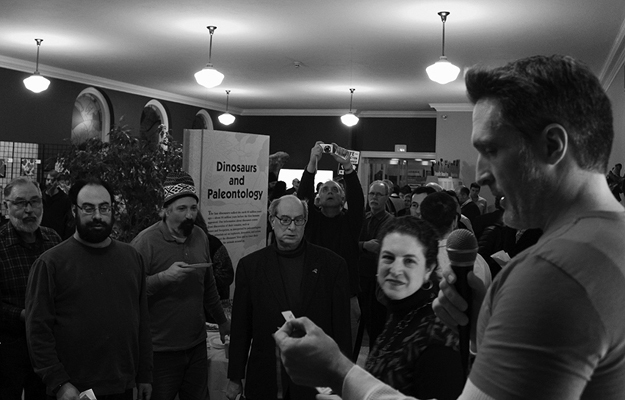 It’s always entertaining to see how the timing works out live for this. 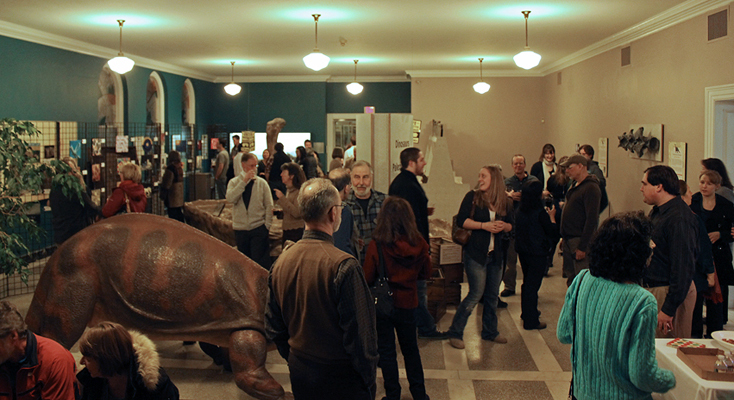 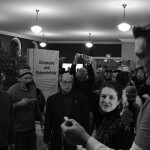 By the night of the event, excitement had reached a crescendo and ARTIX holders, artists, supporters, and friends alike crowded the “dino” room at the museum beginning at 5:30PM when the doors were opened. 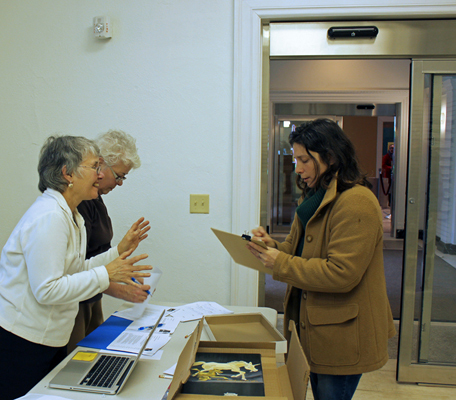 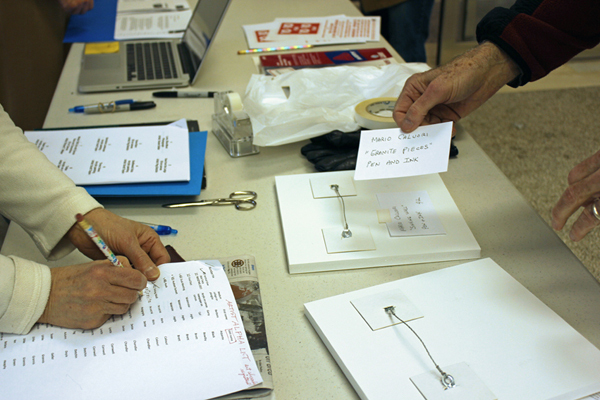 In the hour and a half leading up to the start of the drawing, the artwork was carefully scanned, re-scanned, sized-up, and duly noted as possible selections on scores of artwork lists, checked and re-checked with hopeful care. 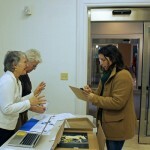 One by one tickets were drawn, artwork went to proud new owners, but in the end it didn’t really matter so much which piece went to which ticket holder. 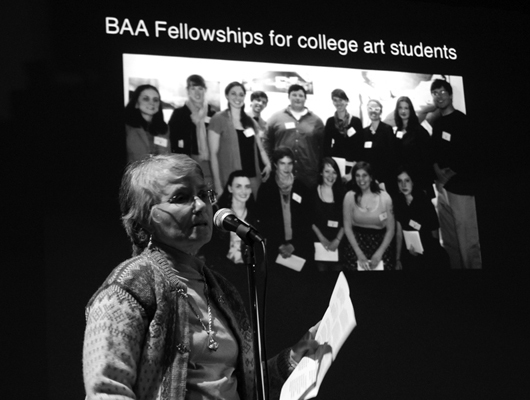 It was more the thrill of the chase amid pleasant, affirming camaraderie and all for a great cause building an investment in a brighter future of art-filled tomorrows. 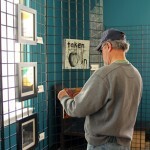 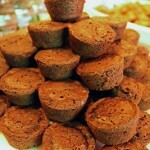 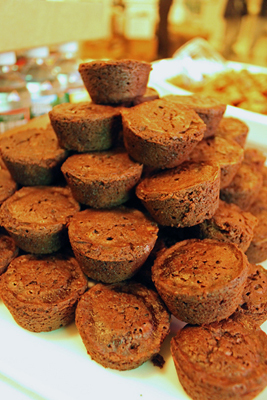 Blog post and all photographs by Leo Mazzeo via arts indie.